We’re getting ready to head to Warsaw for the EB Festival this weekend by scoping out the city’s ten best hangouts and giving away more free tickets to the shows. During Electronic Beats’ last festival season, we investigated the various cities we visit by enlisting locals to connect us with some of the best spots in town. So far, we’ve profiled the underground scenes in Leipzig, Budapest, and Zagreb, and since we’re kicking off this festival season in Warsaw on Friday, it’s high time we turned our attentions to the Polish capital’s cultural gems. We’re also teaming up with the genius mechanics at Leaf Audio for a synth-building workshop that same day. 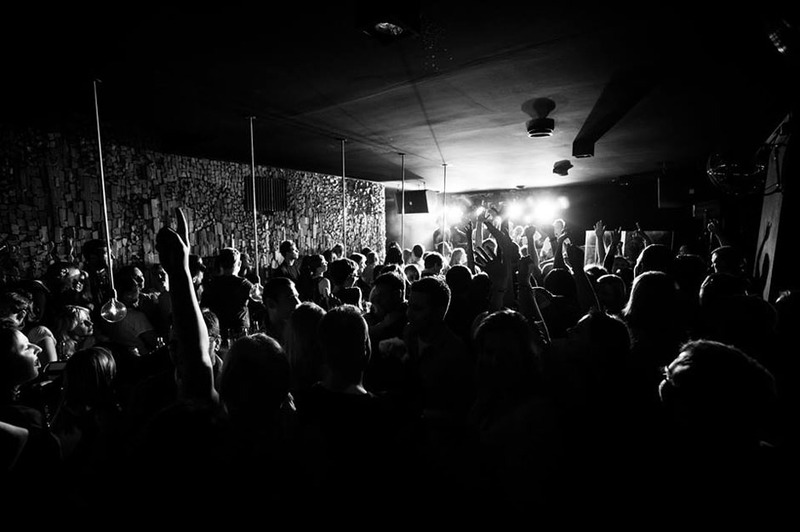 To help us prepare, Varsovian man-about-town Juliusz Barwik reeled off his top ten places to hang out in the city, from high-end clubs and whiskey bars to the renovated Communist Party headquarters. Oh, and by the way, we’ve got another five pairs of tickets to give away. If you want to snag one, here’s what you have to do: publish a Tweet or public Facebook post with the hashtag #ElectronicBeats, and put a link to the Tweet/post in the comments below by February 25 at 16:oo Berlin time. 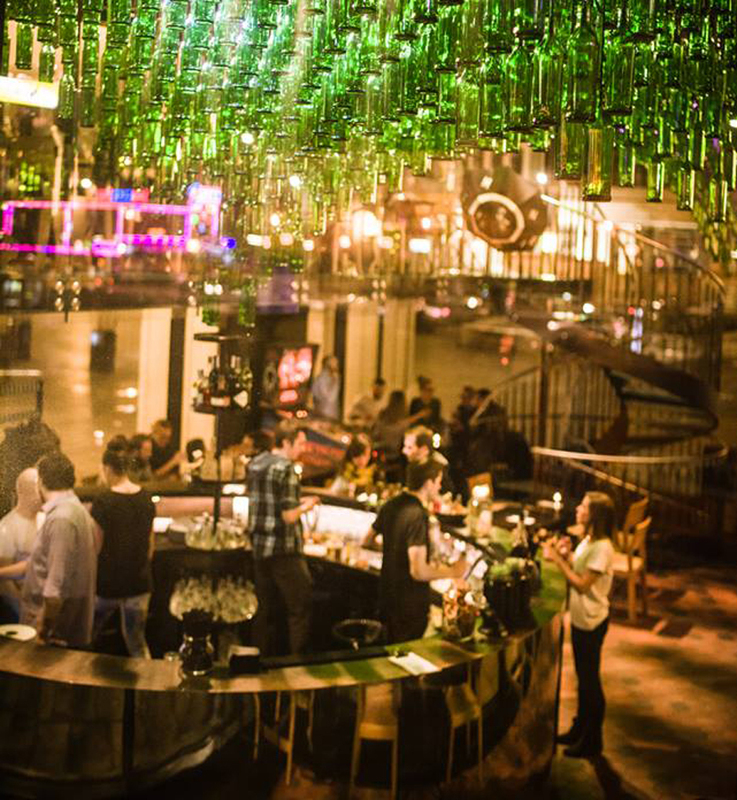 Plan B is a must-see bar on Zbawiciela Square, which is the most “happening” of all the city’s squares. 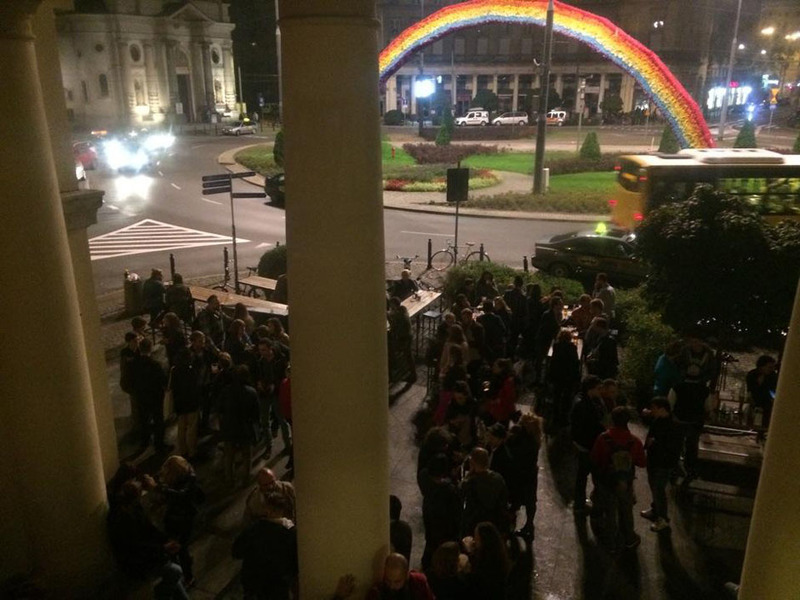 One of its major selling points is that it’s got the best view of the Rainbow, a controversial art project that has become the target of protests by religious and nationalists groups. The clientele is pretty diverse and ranges from the students at a nearby high school, freelancers, artists, hipsters, and random celebrities, all of whom feel at ease here thanks to the bar’s unique atmosphere, which it owes to its laid-back shabby décor and very affordable prices. The club is located in the heart of the city, vis-à-vis The Palace of Culture and Science. The building once housed a childrens’ hospital, but the wards were converted into artists’ studios, co-working spaces, and a music venue with a pretty creepy vibe. 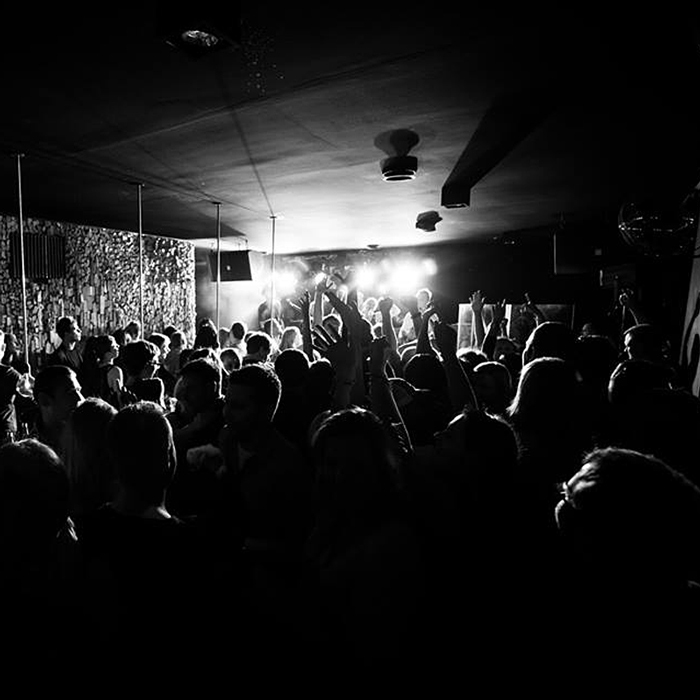 The club consists of two dance floors and a massive bar, and it’s one of Warsaw’s few spaces devoted to quality electronic music bookings. “Basen” means “swimming pool” in Polish, so it’s no surprise that this club is built in one. The building itself has a lot of history; its modernist design was constructed in the interwar period and belonged to the Polish branch of the YMCA. It’s also one of the only buildings to survive the destruction of Warsaw during World War II, and it was the only swimming pool available to young Varsovians in its aftermath. 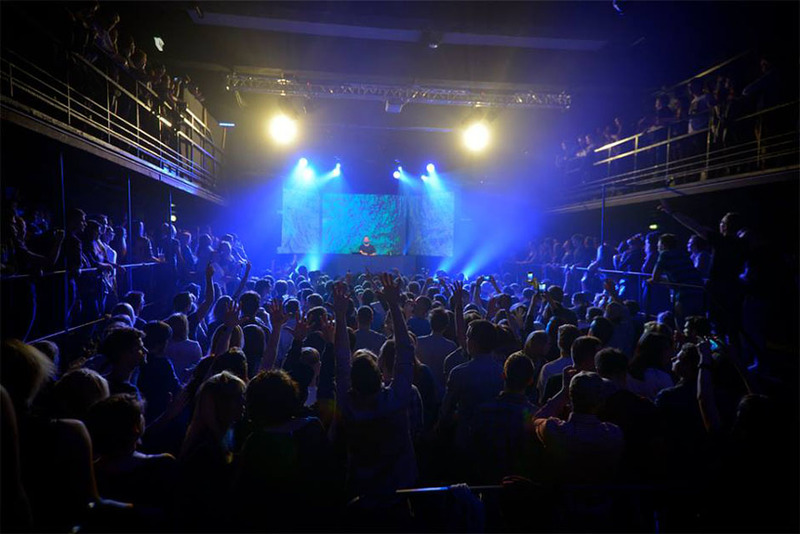 Nowadays, it hosts the best concerts in town, including Electronic Beats’ showcase with Gilles Peterson and Motor City Drum Ensemble. Any savvy tourist in Warsaw MUST go to the Palace of Culture and Science. 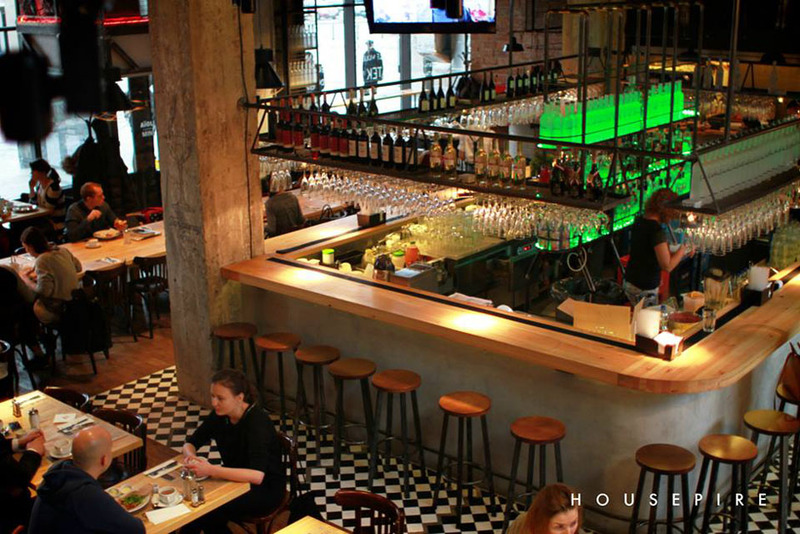 Its foyer houses Cafe Kulturalna and Bar.Studio, both of which partner with local theaters and share similar characteristics. In addition to a strong emphasis on music, like the best Polish bands and a smorgasbord of representatives from the international indie scene, they also have high ambitions for the city’s cultural scene at large. In the afternoons, the spaces hold debates, and in the evening you might catch a unique opportunity to imagine that you’re a Soveit-era dignitary, drinking vodka in the majestic Palace. The Communist Party Headquarters in another must-see on the tour of post-Communist Warsaw. The members of the Central Committee ruled the country from this building, which is still shrouded in an aura of mystery. 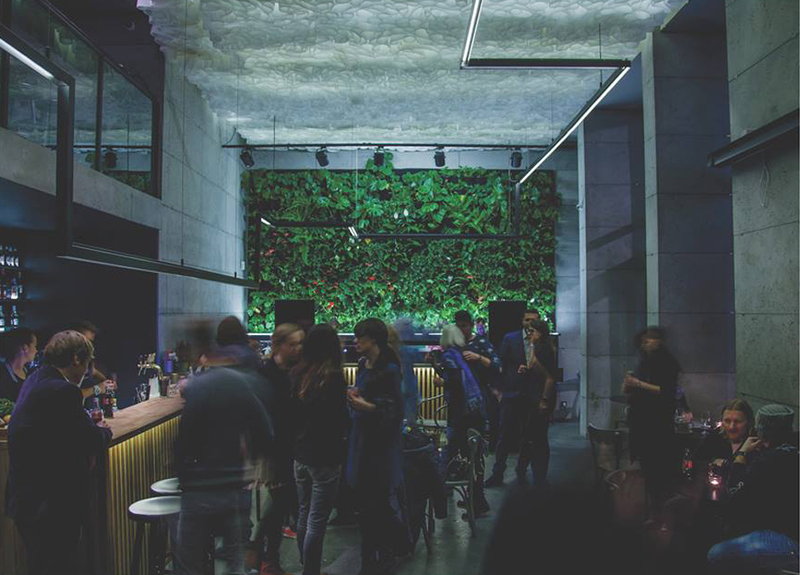 Ironically, it’s now the headquarters for the Warsaw Stock Exchange, and lately it’s become a pilgrimage site for beer- and cocktail-lovers, as its watering hole Cuda Na Kiju was the first multi-tap bar in Warsaw. An ambitious young bartender took multi-tapping to a new level with its sister bar, Zamieszanie, which serves their cocktails directly from the tap. They frequently update their menu and seasonal flavors and boast a delightfully casual atmosphere. The original Aioli restaurant enjoyed such huge success on Świętokrzyska Street that the proprietors opened a second location in the heart of the city. The new spot was “inspired by” and established in cooperation with MINI cars, and their visions collaborated in the form of an industrial yet warm interior, simple yet surprising dishes, and a metropolitan atmosphere. It’s the perfect place for a late breakfast, a lunch with friends, or even a pre-party, as they hire DJs to play there every evening. Basically, the place is teeming with life and wouldn’t look out of place in Southern Europe. 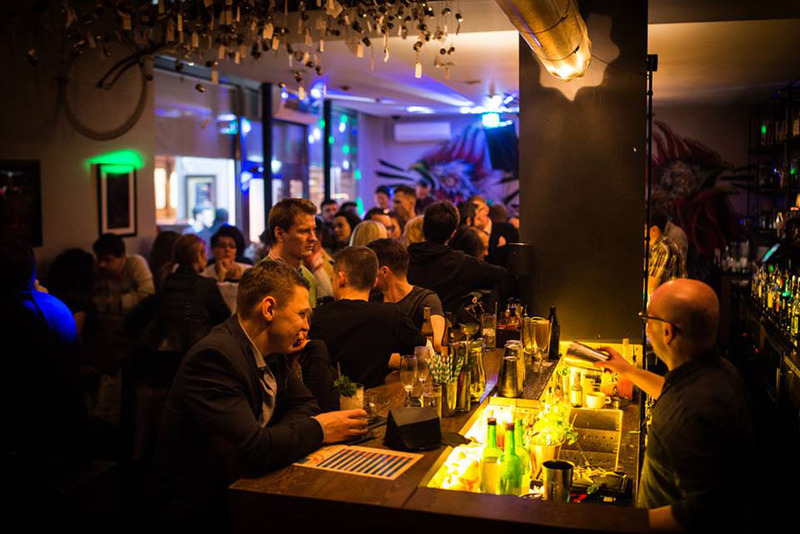 This bar is situated in the Rydz Śmigły Park, which itself is situated in Powiśle, Warsaw’s hippest district. The structure, a gem of modernist architecture from the 70s, was meticulously renovated a couple of years ago. It’s all about whiskey here, and guests can choose from over 100 varieties. On weekdays, it’s a quiet place to pass some time over sophisticated drinks. 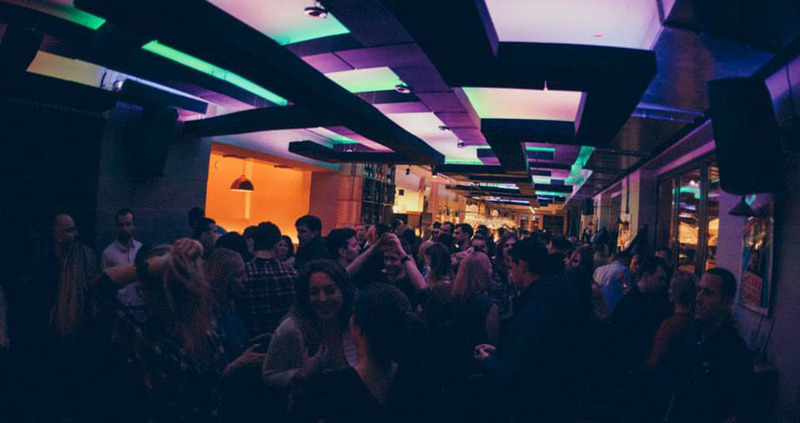 On weekends, the bar regularly hosts live music, most of which is related to electro and contemporary soul. If you find yourself in Powiśle, you should definitely visit Na Lato. On weekdays it’s a classy and calm restaurant, but when the weekend rolls around, it turns into a dance-until-sunrise sort of club. Much like the neighboring bar Syreni Śpiew, the venue is packed with beautiful women, handsome men, designer clothes, champagne, and whiskey. Kita Koguta is the best bet for a vibe-y place to start an evening with some delicious cocktails. The creative and personable staff will help you pick your poison, and then prepare one of the most innovative cocktails in Warsaw. On weekends they have a DJ playing, which adds an extra serving of vibes. This new and enigmatic venue appeared on the Warsaw map several weeks ago. We’re still watching as it evolves, but so far it seems rather remarkable. It’s a classy café/restaurant during the day, and at night it morphs into a proper nightclub with some great bookings. The lovely Kredytowa Street building has plans to install a wine cellar and a barbershop in its walls, and it’s likely that they have more in store. “Miłość” means love in Polish, and it seems to fit. 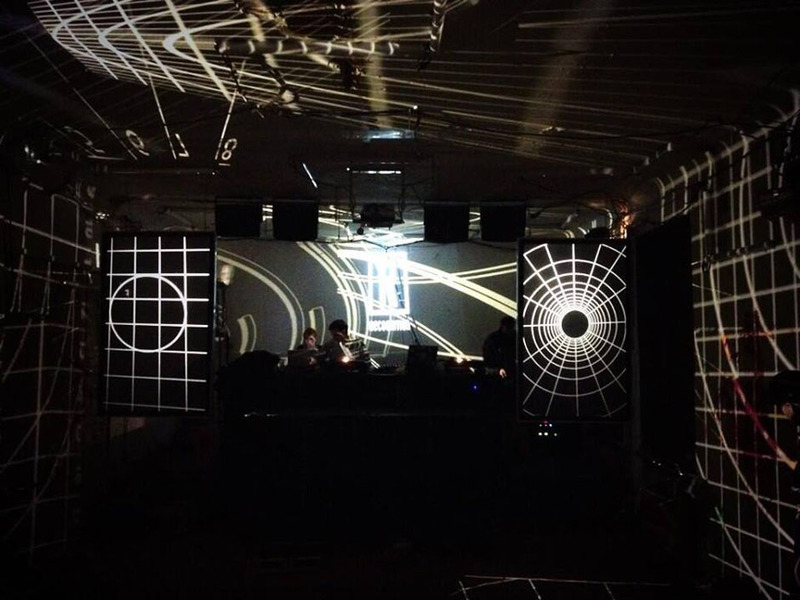 To purchase tickets to the Electronic Beats Festival in Warsaw, click here.